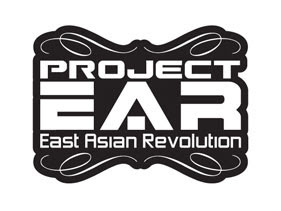 Project E.A.R (East Asian Revolution) was the project which combining most of famous rockers/rappers from 5 countries of South East Asian region such as Popshuvit (Malaysia), Saint Loco (Indonesia), Slapshock (Philippines), Thaitanium and Silksounds (Thailand) also the last one Ahli Fiqir (Singapore). Their debut shows during the 2008 MTV Asia Award which being held in Malaysia. They had rerecorded Popshuvit hit first Malay song (Marabahaya) which also a soundtrack from Malaysian film KL Drift (correct me if i'm wrong). I admit that i don't like the song but this for this version, i really love it especially when Slapshock verse part. Pinoy rules. These are a good collaborations among Asian artists. Just forget about the quake, flood, hurricane and stupid BENDERA group for awhile by listening and watching the video from Youtube. I can't wait for their full-length (if any) to be release.